I currently have several application published on the Windows Phone 7 marketplace. If you have any comments on existing apps or ideas for new (or existing) apps, le me know. I’d love to hear your ideas.Make sure to rate my apps if you (dis)like them. They’re all free so what’s not to like. Planning a trip to the movies in Belgium? This app , using the cinebel.be information, shows all the movies playing this week in the theater of your choice. Clicking a movieposter will show you additional details of that specific movie. With Popcorn Remote you can easily control your popcorn A-200/210 or C-200 from your phone. All that is needed is a connection to your popcorn box with c200remote installed on it and you are good to go. The current version implements the full popcorn remote control. If you plan on going to the Zoo of Antwerp (you should!) than use this app to quickly see what events are scheduled today or any other time. See when what animals are being fed, when the sealions are doing their show or any other special activity. Information is shown in French or Dutch, according to your needs. Are you a mobile vikings using? This app will quickly show you how much data, sms’s and credits you have left. Everything is shown on one screen to quickly evaluate your information. It would be super to read the movie short on the app instead of being redirected to the cinebel page, is that going to change? Probleem opgelost . thx for the feedback! 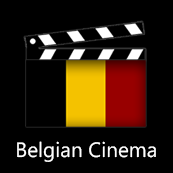 Hey Tim, ik kan de Belgian Cinema app niet meer terugvinden in de Microsoft App Store met Windows 10. Heb je een link naar de app om te downloaden?